Get a complete picture of the health and performance of the VMware environment. 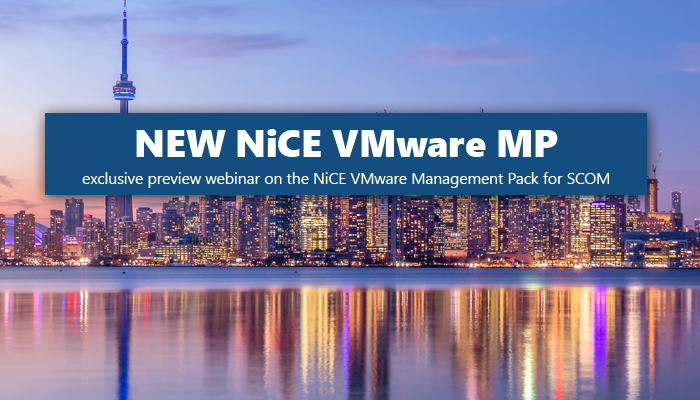 The NiCE VMware MP delivers first-rate monitoring for business critical, highly dynamical virtualized environments. Leverage your existing investment and reduce costs, save time and build efficiencies now. Tuesday, December, 4th, 10:00 AM – 10:45 AM, EST | 4:00 PM – 4:45 PM, CET.